One of the wonderful things about the food blog is connecting with like minded foodies and a shared love of food is best expressed over a meal. With that in mind I met with Lyvia from Savour the Moment for a lunch date at Sayers Food in Leederville. I had forgotten how absolutely atrocious parking around Leederville is around lunchtime, and after far to many laps to recount I eventually snagged a spot and made my way over to Sayers. Sayers is a really inviting venue, with tables both outside and inside, and heaters keeping us nice and toasty on a blistery winters day. If you haven’t headed over to Savour the Moment, be sure to check them out. The blog started about the same time as frenchtoastandindiepop, a joint initiative between Lyvvs and Anna. They sample everything, from brunch food to Korean dinners, and everything in between, true foodies at heart! I’m sure there will be many more catch ups to come, but I should probably talk about the food before I get too carried away! 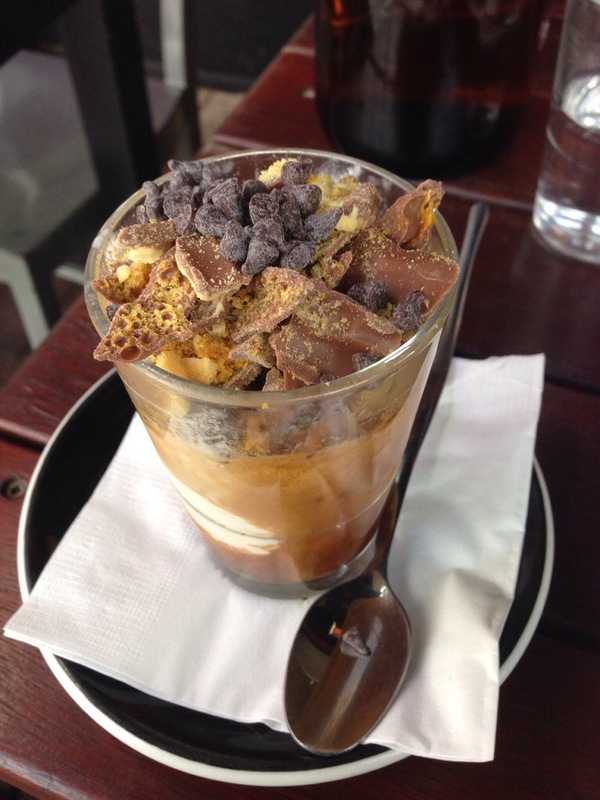 If you go to Sayers and do not try the choc chip honeycomb crunch affogato, you will regret it. I can guarantee it! The sweet, chocolate coffee hit is such a treat, and I mean look at it. How could you pass that up? Okay maybe I have less self control then you, but damn it was good! 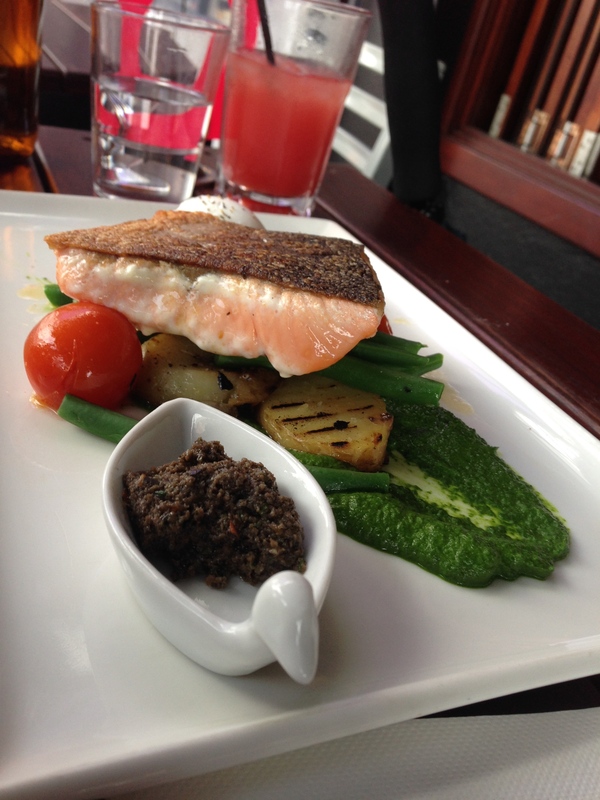 Lyvvs had a lovely salmon dish, I’ll leave it to her to say how it was (and I’m sure it’ll be up on the blog soon!) isn’t it pretty on the plate though? 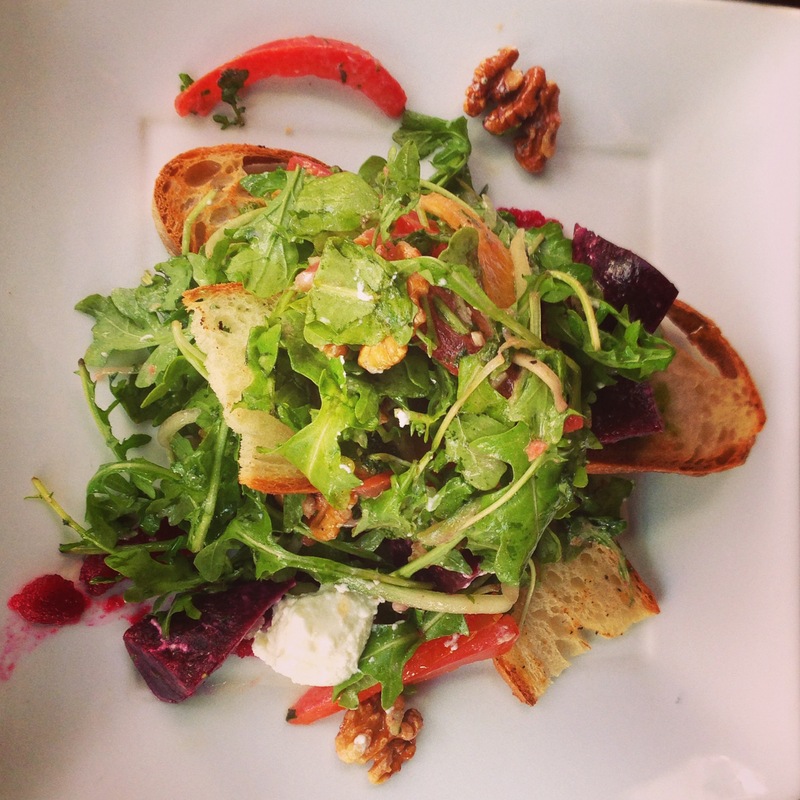 I have a real love of goats curd, and when I saw the goats curd and beetroot crostini on the menu I had to have it! It was such a vibrant salad, I loved all the colour popping on the plate. The beetroot was a good firmness and full of flavour, it went really well with the creamy curd. The salad was nice and fresh and the bread crunchy, this was a lovely lunch choice. 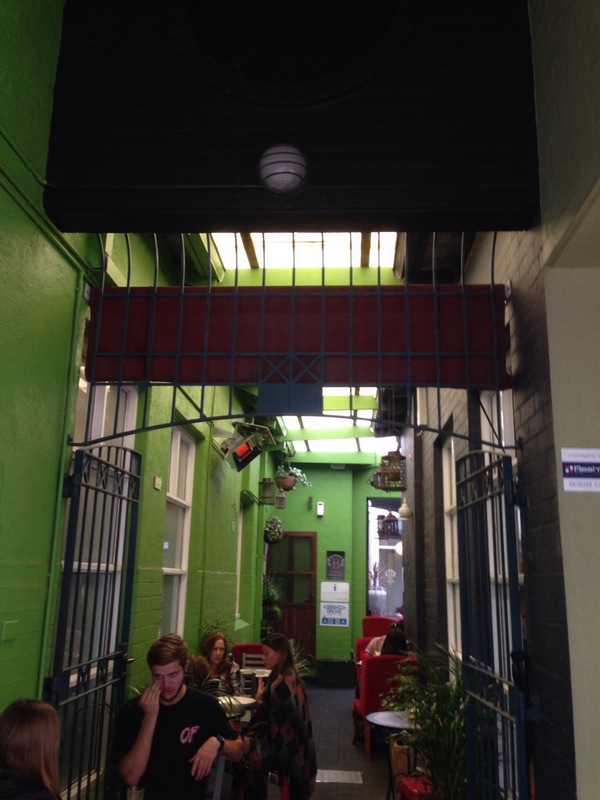 Sayers Food delivered, with yummy, reliably good food that has earnt their place as an institution in the food scene and as a Leederville landmark. It was made even better by lovely company and conversation, thank you Lyvvs (and Savour the Moment)! 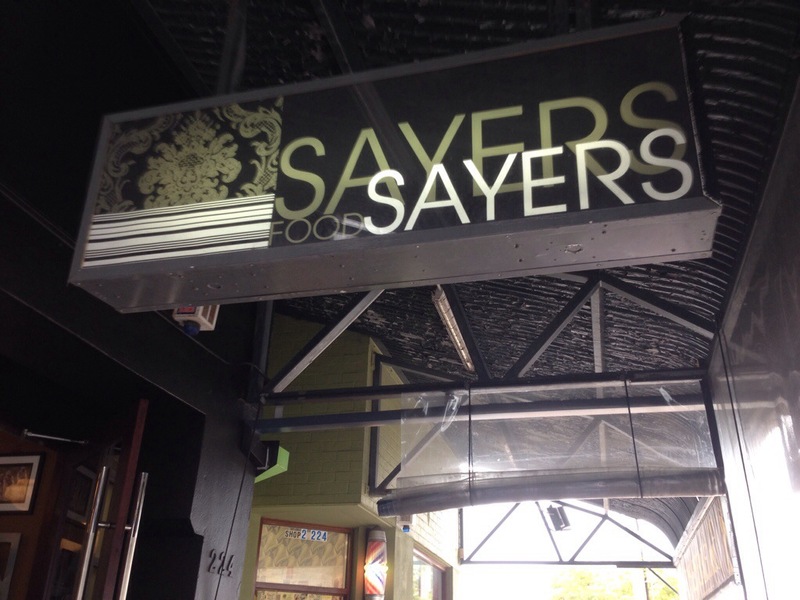 I work in Leederville and always look forward to having lunches at Sayers, it is one of my favorite restaurants. And you are right how can one miss that affogato, it looks amazing.